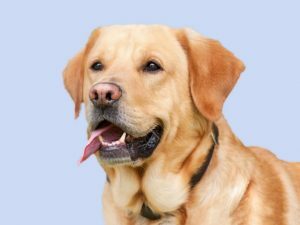 Labs are at the top of the list for the top 10 dog breeds! They’re family-oriented and get along with children and people of all ages. Also, they can easily be trained with minimal frustration! Most Labradors are used for hunting from their agility and intelligence. These dogs are the most recommended for being easy-going and loyal pets. If you do have small pets at home, keep an eye on them! A lab’s hunting instincts can easily take over. From being one of the best assisting breeds in the canine unit with police to drug sniffers, German shepherds are the wisest dogs out there and that’s why they are number two on the list. They’re known to be protective of their owners and their scent glands are strong! If you’re looking for a dog that’s energetic but also laid-back, a German shepherd is a great choice. Just don’t feed them too much because they can easily gain weight! Many people nowadays need therapy to help with either physical or mental needs. But did you know goldens are one of the most successful therapy dogs out there? When trained appropriately, they can help navigate people who lack eyesight, fetch anything a disabled patient needs, or stop seizures and panic attacks from happening! Not only are they therapy dogs but they are very fun to play with. A flaw they contain is that they aren’t easy to groom for their large amounts of fur. Are you interested in smaller breeds of dogs? The French bulldog is the fourth best canine on the list! They have enjoyed a long history of being named the “companion dog.” They require lots of attention but they don’t need much space to be happy! They definitely are allowed in most small complexes like apartments. French bulldogs also are compatible with training. This is the best recommendation for a small dog breed. Looks can be deceiving! The American bulldog is the fifth best breed on the list but they aren’t the same as a French bulldog. Most bulldogs represent mascots of schools or teams like Batavia High School! They are very playful and also easy-going. If you’re someone who likes to watch Netflix all day and relax, a bulldog could be your lovely snuggle buddy. They’re not recommended if you already have a dog since they can be aggressive. Although Labradors are successful at hunting, they don’t have better senses than a beagle. They can be seen in drug-sniffing services or out in the forest with their owners. Yes, they are small, but their howl is surprisingly loud! Most beagles sound out a call when they find prey to help their owners find the target source. If you’re interested in a cheerful hunting dog, a beagle is a fantastic choice! But if you choose this dog, be careful because they drool… A lot! Lights, camera, action! Poodles are among the most flattering canines since the Medieval Times. Many royal families had at least a toy poodle in their hands. Besides their fluffy fur, poodles come in all shapes and sizes but all of them contain a mischievous personality. But be careful: they shed! Like a German shepherd, rottweilers are protective, especially of the ones they are loyal towards. They originally were bred to drive cattle to market and pull carts for butchers. But since today, Rottweilers were the earliest police dogs and are popular family guardians and friends! Don’t worry: these breeds are never shy but show their true color with confidence and courage. They’re not recommended for chilly conditions from their short coat. Still looking for other choices of small dogs but with big personalities? Say no more. Yorkshire terriers make a feisty but a loving companion! With elegant looks and able to sustain apartment living, it’s obvious why the terrier ended up on the top ten list. Although tiny, they require lots of attention and don’t like being left alone for long periods of time. Last but not least! The German shorthaired pointer is yet another loyal hunting breed. They retrieve prey from land and water. They require minimal grooming but need a lot of exercise! These dogs are recommended for someone who is athletic or loves taking long walks. The German shorthaired pointer is not recommended for apartment living.